Take no risks by placing your jewelry wholesale order to our online shop. We offer 925 silver jewelry wholesale while all body piercing pieces are made of surgical grade stainless steel. There are no worries about health issues when it comes to the products provided by We Silver Jewelry Wholesale. On top of that, we keep the jewelry wholesale prices low. Your order is sent very fast while you get free shipping if you buy over $499. And that's not all. 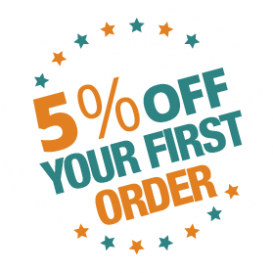 We also offer great discounts on bulk orders. Choose surgical stainless steel jewelry for body piercing, children ear studs, event necklaces, Swarovski charms, and all items you like and you'll have them without any delay. We pay attention to quality, offer trendy designs, and cover all needs. We are the wholesale jewelry supplier that will help you boost sales by providing trusted products at cheap prices. You will be able to provide sterling silver jewelry to your customers for all occasions. Designed to appeal to the senses and with everyone's safety in mind, our wholesale jewelry will sell at your store. We also provide packaging solutions to help you display jewelry in a way that your customers won't be able to resist. Why don't you browse our user-friendly jewelry wholesale store today!